The notion of Connected Communities is evolving from widespread use of social media and networks and represents an emerging paradigm for online connectivity, collaboration and information usage where the basis of interaction is between individual human participants with shared motives in a specific context. 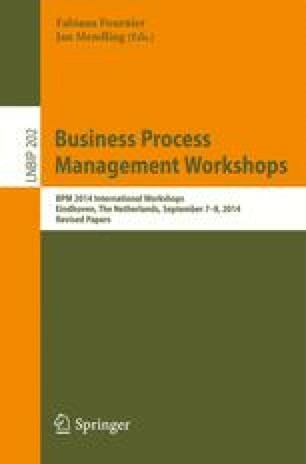 Traditional BPM practices operate on the basis of a common frame of reference with regard to overall business strategy and the constituent activities, and makes similar assumptions with respect to human participants in those processes. This paper reviews the implications of digital connectedness between human actors in a process-oriented context, surveys potential community archetypes and outlines core characteristics of connected communities and their significance in a broader BPM context.